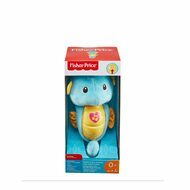 Soft and cuddly Soothe & Glow Seahorse™ plush soother toy helps soothe baby to sleep with a gentle, comforting light glow, 8 lullaby and classical tunes, and soothing ocean sounds. After approximately 5 minutes of continuous play, the sounds and music fade and the light glow dims to dark. 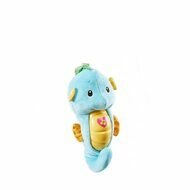 If baby wakes up during the night, another hug from baby wakes the ocean blue seahorse up, too, for another 5 minutes of soothing.